IT'S THE YEAR 2828, and Domus is the last remaining country. Divided into twelve walled cities known as genuses, Domus spans what's known as the purist lands--lands unaffected by the genetic modifications that killed all other species of mammals. But outside the walls of each genus the Immundus threaten the welfare of those within. From a young age, all citizens of Domus are trained for combat against these intruders. 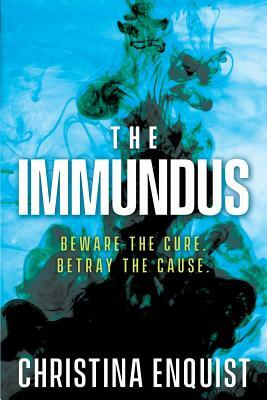 At sixteen, Nia Luna knows little of the Immundus, except for the citywide alarms that ring any time an Immundus nears the genus walls. What she does know is that her own species is dying--their numbers dwindling as a mysterious disease called allagine kills many before their eleventh birthday. The same disease that ravaged her family when it took her sister. When Nia is recruited into Genesis, a research company pioneering the path to a cure, she knows that her dream to find a cure for allagine is finally within her grasp. But within weeks of starting at Genesis, Nia witnesses something she shouldn't have--something that changes everything. As she sets down a dangerous path that uncovers national secrets, Nia will have to decide not only what kind of person she wants to be but also how far she's willing to go to save humanity.